Our Review Of The Conduit Was Mentioned By High Voltage Games On Their Twitter Profile! Jnes5 is without a doubt one of our most talented reviewers, so it should come as no surprise that Jnes5's review for The Conduit was positively commented on by High Voltage Software themselves on Twitter! The review can be viewed here. Note from Jnes5: the picture has some spanish words because it's the default language option if you visit twitter in Mexico... in which I do. 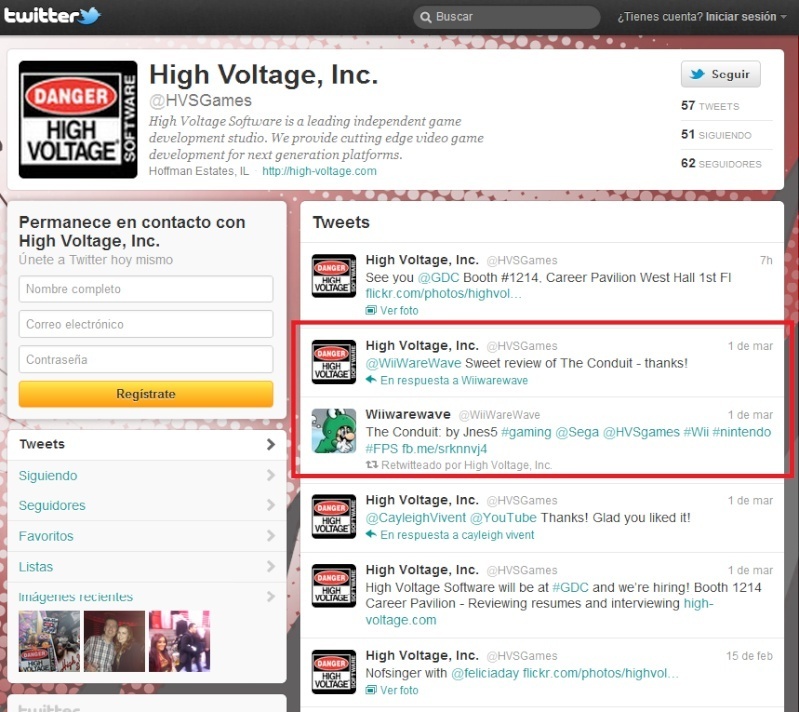 Re: Our Review Of The Conduit Was Mentioned By High Voltage Games On Their Twitter Profile! Pics added with a screen capture of HVS twitter account with the comment in question ! Wow... one of my video game reviews has been not only mentioned but also complimented by the same company who made the game I reviewed ?! This is truly a great honor to me ! Thank you Wiiware Wave ! This awesome moment wouldn't have happened if it weren't for you guys and gals ! Congratulations are in order! Cheers mate!